Earlier this year, Microsoft surveyed its employees to find out what was and wasn’t working with the company’s performance culture. At the time, Microsoft employees were getting feedback through an online tool that used numerical ratings — and rarely included any actionable input. The survey found that only 25 percent of Microsoft employees said they got regular feedback from colleagues — and only 7 percent consistently received feedback on how they could improve. Something had to be done. Microsoft turned to the NeuroLeadership Institute to enlist our help in designing a new approach to feedback — one grounded in the neuroscience of how feedback actually works in the brain. To find out the answer, we interviewed leading researchers in neuroscience, psychology, management, and creativity, and reviewed hundreds of articles in the academic and industry literature. Once we had a sense of the cognitive mechanisms underlying successful feedback, we analyzed 25 existing feedback models to find out just how “brain-friendly” they were. What we found is that although some models tacitly or explicitly nudge people toward one or two helpful habits, no existing model encompassed all the steps necessary for a successful feedback conversation. It became clear that we couldn’t improve feedback simply by tweaking existing models. 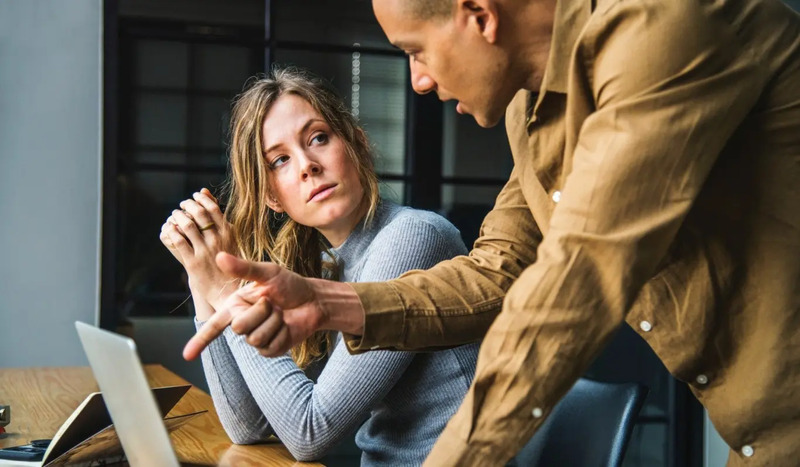 Untold resources have already been spent building top-down feedback processes based on the premise that the key to improving feedback is teaching managers to deliver it better. But clearly those approaches weren’t working. To truly transform feedback, we realized, we needed to jettison old assumptions and define a new paradigm. The problem with existing models is that they fail to account for the brain’s response to feedback. Most performance conversations throw the brain into a threat state that interferes with the ability to think clearly. When employees receive vague, unsolicited feedback — lacking in context and with no clear directive about how to improve — it triggers the brain’s fight-or-flight response. In this agitated state, working memory is impaired, abstract thinking is compromised, and comprehension plummets. Rather than reflecting on what they can do better, employees become defensive, ignoring suggestions and resisting long-range goals. To transform its culture, Microsoft needed to find a way for leaders and employees to give and receive feedback in a way that didn’t trigger the brain’s threat response. So NLI worked with Microsoft to implement a new approach: Empower employees to ask for feedback rather than waiting to receive it. Our research shows that asking for feedback creates a “toward” state in the brain — an approach mentality in which you actively seek out feedback rather than waiting with dread for it to come. In fact, a new experimental study by NLI Senior Scientist Tessa West and her colleague Kate Thorson of New York University found that once one person has broken the ice by asking for feedback, receiving feedback that’s been asked for is significantly less stressful — inducing a heart rate spike 50 percent lower than when feedback comes unsolicited. Based on this paradigm, Microsoft piloted a new approach to feedback — one that put employees in control. The old numerical rating scale was replaced with a new tool in which all questions are qualitative, based on real-world examples, observations, and suggestions for improvement. Managers were trained to provide constructive coaching in a non-threatening way by talking to employees not just about what they can do differently, but also about what they’re doing well and what they can build on. The response has been overwhelming: 80 percent of participating employees said they wanted Microsoft to do a broad rollout as soon as possible, saying they appreciated how the new approach made feedback less threatening and put employees in charge of their own learning. In April, Microsoft rolled out the new approach to all its employees worldwide. Participants are already reporting that their feedback conversations are more open, informed, and interesting — and that employees are more active in gathering information to guide their own growth and learning. The results are clear: When it comes to getting the feedback employees need to learn and grow, it’s time to stop giving and start asking.